This is a story about a young lady who put her dreams on hold but then as fate would have it, she quotes, "It’s been like magic from the start." Tammie Davis left her home in North Carolina for Parris Island, SC to serve her country. This North Carolina, gravel road, country girl became a U.S. Marine and Marine Musician/Pianist, Navy Achievement Medal recipient and has also earned the title ‘Carolina Music Awards Female Country Artist of the Year’. When you listen to Tammie's music you may hear influences from Wynonna, Joe Dee Messina, Carrie Underwood and a few others all rolled up into one. 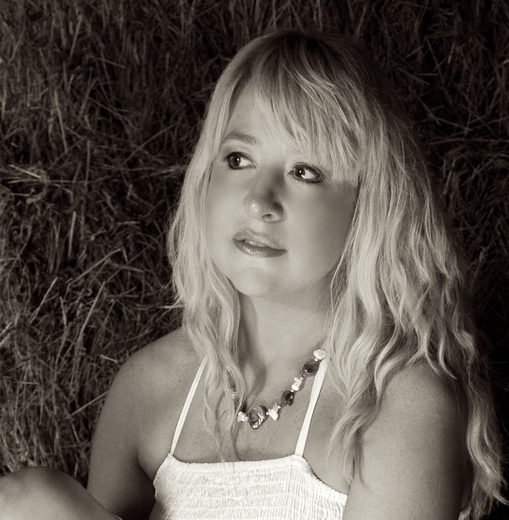 In 2009, Tammie's career was launched professionally as a country music artist and songwriter and since then she has been named Female Country Artist of the Year for the Queen City Music Awards twice as well as six consecutive years of nominations for the Carolina Music Awards. In 2011, Tammie was named Female Country Artist of the Year for the Carolinas. Quite at home on the music charts, Tammie's debut single, ‘Tall Dark & Lonesome’, charted for thirteen solid weeks after the national radio release hit stations in 2010. In addition to music row airplay, 'Tall Dark Lonesome' aired in heavy rotation on media/billboard stations like WKML 95.7FM, 'Carolina's Best and Most Country' for sixteen weeks. Tammie has shared stages with National bands and artists like, Charlie Daniels, Loretta Lynn, Juice Newton, Jason Michael Carroll, Colt Ford, Jeff Bates, Pure Prairie League, Edens Edge, Kip Moore, Bucky Covington, Atlanta Rhythm Section, Orleans, Ambrosia, Fire Fall, Matt Stillwell, Billy Dean, The Oak Ridge Boys, Sweetwater Rain, Bushhawg, Gene Watson, T Graham Brown, Jeannie Seely, and performed a pre-concert party for the Zac Brown Band. Tammie's performance reputation caught the attention of a group of corporate planners in late 2010 when she was asked to perform with Charlie Daniels in Las Vegas at 2011 ConExpo events. Tammie begin to headline shows in 2010 and was showcased the prestigious Friars Club in New York City upon a special invite to perform for club members. Tammie says her highlight of 2011 was performing on stage with Charlie Daniels and being one only two independent artists invited to the 2011 Rapids Jam Music Festival where top country acts like Sugarland, Darius Rucker, Willie Nelson, Colt Ford and Lady Antebellum all performed. In 2010, Tammie turned heads with her debut CD, It's A Beautiful Life, which was released to over four-hundred digital distribution outlets. It can be heard streaming on Pandora.com which makes Tammie one of the few independent artists accepted by Pandora. Along with her U.S. airplay, Tammie is receiving airplay in sixteen other countries. Tammie is also getting attention from NASCAR with her 2011, 2012 & 2013 invites to perform the National Anthem in Kansas City and Charlotte. During 2012 & 2013, Tammie appeared on RFD-TV Virginia Dreams Center Stage TV show and performed across North Carolina and the southeastern United States. Tammie performed the National Anthem all over the U.S. for NASCAR, ARCA and other national events. 'It's A Beautiful Life' the single, was released to national radio and was picked up by 140 radio stations across the U.S., Europe, Japan and Canada. Tammie has once again been asked to appear on RFD-TV in 2014. Tammie has been sponsored by Bojangles’ Restaurants, Inc. since 2011.